Why become a member of DPA? What does the DPA do for the Film and Video Industry at large? Your membership fees go to promoting, defending and assisting the film and video industry in the city, the state and the nation. In 2007, the DPA spearheaded the film incentive effort in Texas, and with the help of others got important film incentives passed through the state legislature. With the DPA’s assistance and the founding of the Texas Motion Picture Alliance, film incentive work will continue on all fronts making Texas film and video competitive to other state incentives. Also in 2007, the DPA played an important role in the first AFI Dallas Film Festival. These are just two of the efforts that the DPA has supported in the Defense, Promotion and Assistance of the film and video industry in Texas. The DPA is continuing to expand to actively include professional producers from the interactive and animation industries making the DPA a strategic and seminal force for producers. The DPA is a good marketing investment for companies and individuals in film, video and multimedia production. And it is an avenue in which to develop great friendships and alliances to last for years to come. Please become a member so that you can begin to enjoy networking with this talented group of professionals! By sharing a common commitment to promote and abide by the highest possible standards of professional conduct, all members of the Dallas Producers Association pledge to adhere to this statement of ethical standards in all of their respective dealings. To comply with all relevant laws, codes and regulations, and protect the public against fraud and unfair trade practices. To maintain and support the development of industry standards and practices. To refrain from discriminatory practices. To present services and actual work performed and/or produced honestly and without misrepresentation. To never knowingly infringe upon any other parties’ intellectual property rights and if any innocent breach occurs then to address and rectify any such breach immediately. To be responsive to and available for clients before, during and after the sale. To compete for business within normally accepted practices of conduct and ethical standards. To uphold the practice of making timely payment in accordance with the terms of their creditors and in the case of a dispute to declare to the creditor, if requested, the reason for withholding payment. To support the Association by taking an active role in DPA activities and promoting the Association to the general public. This Code of Ethics is a guideline and does not represent the entire scope of good conduct and ethical behavior. Acceptance of and adherence to this Code, however, is a condition of membership. Before joining, please consider reviewing our By-Laws. Article I — Name: The name of this Association is the Dallas Producers Association. This association is variously referred to in the By-laws as Producers Association, the Association or DPA. Article II — Status: The DPA is a tax-exempt, non-profit trade association. No part of its revenues or activities shall inure to the benefit of any individual member or office. All officers and members of Association’s board of directors will serve without compensation. Section 1. Membership in the DPA is open to any individual, company or any individual at a company that derives the major portion of their income from the moving image and media production industry. Section 2. Producer category of membership is open to companies or individuals who are actively engaged in the production business as a producer. Section 3. Affiliate category of membership is open to individuals and companies who offer support services to the video/film/digital media production industry. Section 4. All members in good standing have equal rights except where specifically noted in these By-laws. Section 5. Additional individuals at a company may be added to the Association membership, receive mailings and are entitled to all rights of membership upon approval of application and payment of additional dues as set by the Board of Directors. In situations requiring members to vote, only one vote per member company will be permitted. Section 6. Membership applications are submitted to the Association through the Vice-President and approved by the Board of Directors. Section 7. Upon acceptance for membership in the Association, the Member is assigned an Anniversary Date or Born-on Date, which is used for his or her time for renewal. Section 8. Member in Good Standing is defined as one whose annual membership dues are current and who satisfies membership requirements as cited in Article III, Sections 1, 2 or 3. Section 1. Annual membership dues shall be established by the Board of Directors of the DPA. Section 2. The Board of Directors may establish fees for special projects, conferences, workshops or seminars as allowed for in these By-laws. Section 3. Dues are scheduled to be paid annually by the member’s Born-On Date. Any dues not paid within 90 days after the Born-On Date is considered in arrears and the member’s name will be dropped from the membership roster. If the dropped member wishes to rejoin the Association, the formal application process will have to be completed, including new member initiation fees, if required. Section 4. Payment for membership dues must be paid in full. Section 5. Special membership categories such as Honorary or Lifetime or the waiving of membership dues and fees will require a simple majority vote of the Board of Directors. Section 6. Current officers will have a portion of their dues waived for their membership year. All former Presidents will have a portion of their dues waived in perpetuity. The portion will be determined by the Board of Directors the prior year. Paragraph 1. Elections. Elections will be held in November at 24-month intervals that coincide with the terms of office of elected officers. Nominations for elected officers may come from the general membership and may be submitted in writing or come from the floor at the general meetings (October) at which such elections are announced. Paragraph 2. Voting. Voting will be conducted by secret ballot; such ballots to be sent to all voting-eligible members of the Association. Voting-eligible implies membership in good standing with all dues current. In the case of multiple representatives to the Association as part of an individual company or organization, only one vote per such membership will be allowed and counted. Section 1. Elected Officers. The elected officers of the DPA shall be a President, a Vice President and a Secretary/Treasurer. Section 2. Eligibility for Office. To be eligible to be elected as an officer of the Association, a person must have been a member of the DPA for at least one year and be a member in good standing at the time of installation. The President and Vice President must be members in the Producer category. Paragraph 1. The term of office for all DPA officers shall be a period of 24 months with terms beginning on January 1. Paragraph 2. No elective officer may serve more than two terms in succession in the same office. Section 4. Administrative Director. The Association may employ the services of an individual to handle many of the day-to-day operations. This individual would be an agent of the Board of Directors and perform duties at its discretion. These duties could include maintaining a membership database and a prospect database, facilitating inter-member and extra-member communication such as website, meeting notices and P.O. Box and oversight of DPA archives. Paragraph 1. President. The President will preside over general membership and Board of Directors meetings; serve as a member of the Board; appoint committees as required and act as an ex-officio member of all committees; assign other duties to elected officers as required. Paragraph 2. Vice President. The Vice President will serve as a member of the Board of Directors; preside over both general membership and Board meetings in the President’s absence; temporarily assume the duties of the President should the President resign or be impeached; and assume other duties as assigned by the President. Paragraph 3. Secretary/Treasurer. The Secretary/Treasurer will maintain books of account and records for all income and expenditures for the Association; serve as a member of the Board of Directors; deposit all monies in the name of the Association in a recognized bank or financial institution; disburse and collect the funds of the Association as ordered by the President and affirmed by the Board of Directors; render a report of the transactions at such time as requested by the President and/or the Board of Directors; serve as signatory on all checks and payments issued by the Association; and assume other duties as assigned by the President. Section 1. The Board of Directors will consist of currently elected DPA officers and the most immediate outgoing President. In addition the President will appoint no less than nine (9) and no more than eleven (11) supplementary Board members, bringing the total Board membership to no less than thirteen (13) and no more than fifteen (15). Paragraph 1. Service terms. Service of Board members will coincide with that of the elected officers, i.e., twenty-four (24) months, per term. Paragraph 2. Vacancies. Vacancies on the Board of Directors as a result of death, resignation or other reasons will be filled by appointment of the President. Paragraph 3. Removal from Board. A Board member may be dropped for excessive absences (more than three) from Board meetings or for other reasons as determined by the Board and voted on by three-fourths of the remaining Board members. Section 2. Meetings of the Board will be called approximately once per month by the Association President, at a time and place convenient for Board members. Section 3. Actions resulting from a Board of Directors meeting will not be binding unless a quorum of Board members is present. A quorum is a simple majority of the then-current Board members, two of who will be officers. Unless specifically stated elsewhere in these By-laws, a simple majority of the Board of Directors members present at a Board meeting will constitute acceptance, affirmation or confirmation of matters before the Board, provided a quorum is present. Section 4. Any member may be asked to attend Board of Directors meetings. Section 5. Advisory Board. The Advisory Board will consist of all past DPA Presidents who are members of the Association in good standing and who have expressed a willingness and interest in serving. In addition, appointments to the Advisory Board will be made with the consent and approval of the Board of Directors. Such appointments will be made for individuals who bring areas of specialization to the Association, which will benefit the membership as a whole. Paragraph 1. Voting Rights. Advisory Board members will have no special voting rights or powers that would have impact on Association policies and procedures. Paragraph 2. Meetings. The Advisory Board will meet at the discretion of the Association President. Section 1. Standing Committees. The standing committees of the DPA shall be determined by the President and the Board of Directors. These committees may include Legislative, Programs, Membership, Communications, Business and Special Events. Paragraph 1. The Legislative Committee will maintain contact with events of state and local government affecting the video/film/digital media production industry, reporting to the membership on a regular basis during regular legislative sessions. Paragraph 2. The Programs Committee will be responsible for the planning and content of the monthly informational program for the general membership meeting. Paragraph 3. The Membership Committee will be responsible for recruitment of new members and maintenance of the membership directory in conjunction with the Administrative Director. Paragraph 4. The Communications Committee will be responsible for maintenance of and updates to the Association Website and other online communications portals. 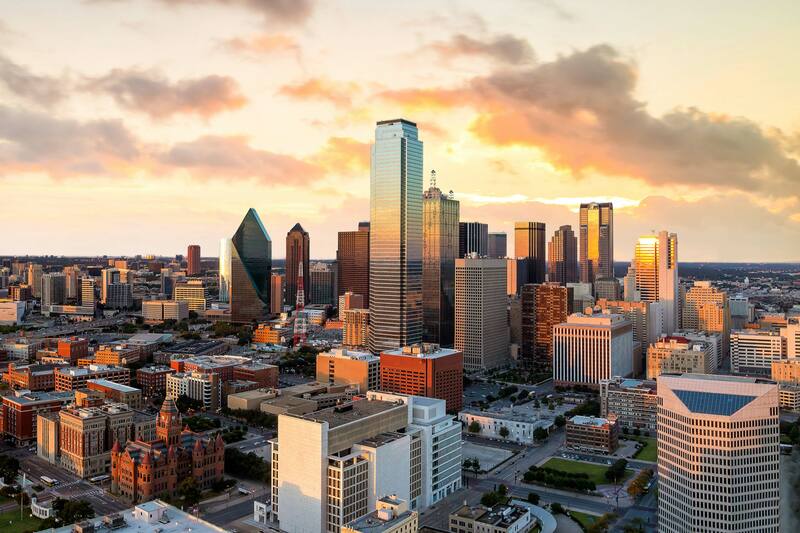 The Communications Committee will also be responsible for strategic and tactical planning, development and execution of programs designed to enhance recognition of the Association and industry in the Dallas-Ft.Worth area. Where appropriate, the committee will also engage in activities for the same purposes on regional and national levels. Paragraph 5. The Special Events Committee will be in charge of any social or special events planned by the Association. Paragraph 6. The Business Committee will be responsible for recommending and development of changes regarding business procedures of the Association. Section 1. The Association at large will meet at least once monthly, unless otherwise directed by the Board of Directors. The meeting time will be determined by the Board of Directors. A quorum for any Association business conducted at an at-large meeting will be a majority of those DPA members present. Section 2. Results from the voting will be announced at the first at-large membership meeting after the closing of the vote. Results will also be distributed by whatever means deemed necessary by the Board of Directors. Section 1. Any proposed amendments will be presented at a Board of Directors meeting, at which time the revisions will be approved by majority vote of the Board. The approved By-laws revisions will then be submitted to the membership for approval. Section 2. These By-laws may be amended by majority vote of the votes received from the general membership. Such amendments will be distributed to the members no less than thirty (30) days prior to voting. Section 3. Amendments to these By-laws will take effect immediately after adoption by the members and will then become part of the governing rules of the Association. Section 1. In addition to the Association By-laws, the Board of Directors may create policies, which shall have the effect of binding rules on the operations and functions of both the Association and the Advisory Board. Section 2. Policy is created or changed by a simple majority vote of a duly convened Board of Directors meeting at which there is a quorum present.